Fredericksburg is home to lots of fun things to see and do and it's a great place to spend a vacation, exciting weekend, or just a few days. Fredericksburg is home to great shopping, excellent restaurants, several nearby wineries, lots of good music, arts and museums, B&Bs, campgrounds, and lots to see. Fredericksburg was founded in 1846 and named after Prince Frederick of Prussia. Old-time German residents often referred to Fredericksburg as Fritztown, a nickname that is still used in some businesses. The town is also notable as the home of Texas German, a dialect spoken by the first generations of German settlers who initially refused to learn English. 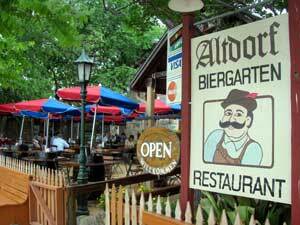 It's German heritage means you'll also find lots of great German food in Fredericksburg. Check on an item in the Category Search to display that item on the map.